Cristina Curp is the captain behind The Castaway Kitchen, a popular food blog and destination site for low-carb resources. She is a Miami native with Cuban roots who has voyaged all over the world alongside her husband, supporting his military career. As a chef and mother on the move, she is accustomed to packing up their lives (and her knives) to start over every few years. 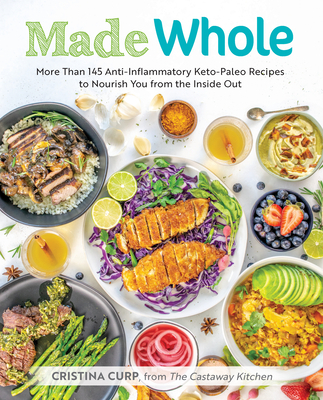 This ongoing adventure birthed her blog, which is a collection of inventive low-carb/keto, whole-food recipes that have helped her reverse autoimmune disease, lose weight, and take control of her own health and well-being. Cristina is passionate about cooking, sharing her experiences to help others, and enjoying life to the last drop.